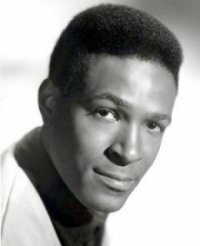 "Come to me" by Marv Johnson was the first Tamla Motown production record to be issued in the UK, it was put out on the London American label in May 1959. London also issued the first EP (extended play, usually 4 tracks two on each side, in a picture sleeve) "Shop Around" by the Miracles in 1961, in total London put out 11 Tamla Motown productions. Fontana was next and issued around four singles up until March 1962. These included The Marvelettes " Please Mr Postman" and "Jamie" by Eddie Holland, now a very rare single. Fontana decided not to issue more records and Oriole an independent label took over. They even promoted the Motown records on a radio show on Radio Luxenbourg. 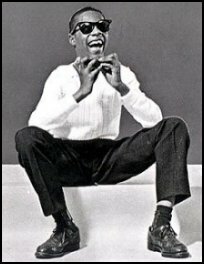 Little Stevie Wonder, as he was then called (real name Steveland Judkins Morris) was a blind singer and songwriter who was only 13 years when "Fingertips" was issued. Mary Wells also made a significant contribution to the early success of Motown with several singles on Oriole "You Beat Me To The Punch", " The One Who Really Loves You" and " Two Lovers", together with the production and song writhing of Smokey Robinson. She was the first Motown artists to tour the UK. Demo copies are now very expensive and " I Found Myself A Brand New Baby" by Mike and the Modifers is probable the rearest and most expensive, originally issued on US Gordy. Marvin Gaye who later was to became one of the great male performers and demonstrated the sophistication of black soul music. "Stubborn Kind Of Fellow" and "Pride and Joy" were issued in 1963. Marvin Gaye did session work for Berry Gordy from the early sixties and married Berry's sister, Anna in 1961. He had consecutive number ones in 1965 and formed a partnership with Tammi Terrell until her collapse on stage in 1969. Sadly, he was addicted to cocaine and was shot dead by his Father during an argument in1984. Next came the Stateside lable which issued around 40 singles from 1963 until March 1965. 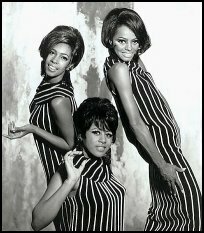 The Supremes had early hits with "Baby Love" and "Where Did Our Love Go". Many of the records are very collectable, particularly if they are on demo copies, which is the all white label with a large red A. Earl Van Dykes's "Soul Stomp" or Carolyn Crawford "When Someone's Good To You"which was her only UK release. Finally, in March 1965 EMI launched the Tamla Motown label, which issued only recording from Berry Gordy labels, Tamla, Motown, Gordy, Soul, VIP. The first issue was TMG 501 "Stop In The Name Of Love" by the Supremes. The Motown session band lead by Earl Van Dyke, he played organ and was manly responsible for the original sound of the studio. Who only had a few singles issued, "All For You" by Earl Van Dyke is another collectors item on the label. His only album issued (in the 60's) TML 11014 "That Motown Sound" is a collectors gem of instrumentals. Copies in good condition go for £120 +. The Motown house band known as the Funk Brothers were at the insistance of Berry Gordy called the Soul Brothers, he disliked the name 'Funk' and did not wish it to be associated with Motown. Another instrumentalist Choker Cambell also had one issue "Mickey's Monkey" which is also highly collectable as is his album TML 11011 "Hits Of The Sixties" issued in June 1965. After Dr Martin Luther King was assassinated in 1968, a tribute album was issued TML 11076 "The Great March To Freedom" which included extracts from his speeches, this album is now very rare indeed. The TMG 500, 600 series are the most collectable singles with some very strange issues including white artists The Lewis Sisters and even a country record by Dorsey Bunette. Motown became the largest black owned business in America and gave the collector a treasure chest of gems to uncover.